Bio Sculpture Gel is a durable gel applied to the nail and cured under a UV lamp. This gel doesn’t damage the nail bed and leaves the nail perfectly smooth protecting and strengthening your nail in the process. With over 150 color choices, Bio Sculpture is the leader in the color gel industry. Bio Sculpture gel lasts for up to 3 weeks and is applied with very little buffing. This technique requires no primers or bonders, so it doesn’t dry out your nails. The gel is removed with a soak-off solution and leaves natural nails in their original condition. It can be used to sculpt and shape, lengthen existing nails or enhance their natural shape. Aestheticians have the option to create different nail finishes, flexible, medium or solid nails, depending on the clients’ nail type and preference. Nail art trends are extremely popular in today’s world. Bio Sculpture Gel is one of the very few gels that can have nail art embedded into the gel and be sealed with the gel to protect the nail art. 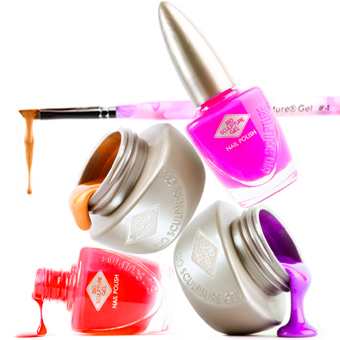 Bio Sculpture products are Five Free! (free from harmful chemicals such as formaldehyde, formaldehyde resin, toluene, DPT and camphor. At Mahogany Salon and Spa, we strive to provide safe and long lasting products to our valued guests.